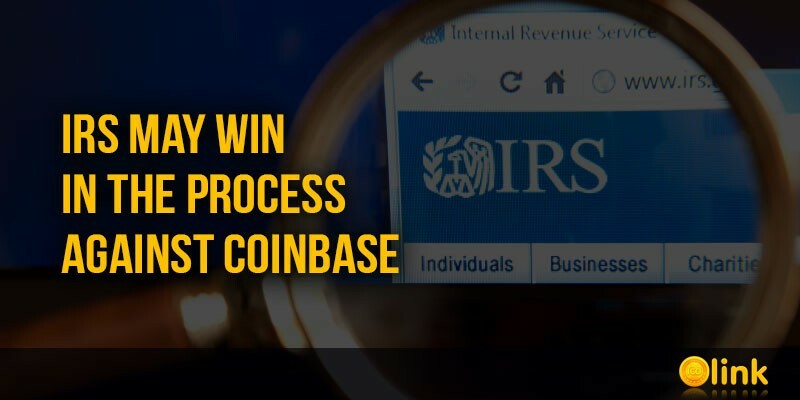 This week, the dispute between the US Internal Revenue Service (IRS) and Coinbase again worsened as the magistrate in charge of the case accepted the IRS side. Last Thursday in California, the two organizations met in court to continue litigation over the controversial case, which began almost a year ago. At recent hearings, the IRS proposal for a tax audit of Coinbase customers was discussed, which used the platform from 2013 to 2015. At the last hearing, US Justice Jacqueline Scott Corley noted that she approves the arguments put forward by the IRS, and considers the verification justified. "It's legitimate for them to investigate whether people are making money on their bitcoin purchases and paying taxes on any gains, I have to give tremendous discretion to the agency as to how they investigate." explains Judge Corley. IRS: "Out of 500,000 clients, taxes are paid less than 900 people"
The IRS filed a lawsuit more than a year ago and has since fought with Coinbase in court. The tax service wants to calculate the clients of the company, which "did not comply with the provisions of the laws on domestic incomes". After the statement and a possible positive decision in favor of the IRS, the agency can finally get what it wants. Earlier this year it was reported that the IRS found out that every year only 800 people correctly filled out a tax return regarding their personal income and losses in Bitcoin. This fact was mentioned at the hearing, as the IRS explained to Judge Corley that in the period between 2013-2015 of 500,000 Coinbase customers, less than 900 US citizens reported their tax obligations associated with Bitcoin. The IRS issued its request a year ago in November and has been fighting with Coinbase in court ever since. The tax collector is looking for customers who "failed or may have failed to comply with provisions of the internal revenue laws." After Thursday's statements and the pending decision from Judge Corley, the IRS may get what they want. The IRS searched the MTRDB for Form 8949 data for tax years 2013 through 2015 and the results were interesting. Each year only 800 individuals filed their taxes correctly in relation to their personal bitcoin gains and losses. This fact was brought up again at the hearing as the IRS explained to Judge Corley that between 2013-2015 out of 500,000 Coinbase customers, less than 900 U.S. citizens per year were reporting their bitcoin tax obligations. "U.S. taxpayers, including Coinbase users, have made use of virtual currencies to avoid the reporting and payment of taxes," explains the U.S. tax agency. [The IRS] need to gain some degree of visibility into a space where it is already necessarily moving about somewhat in the dark. The chief legal representative for Coinbase, Mike Lempres, revealed after the hearing that the San Francisco digital asset firm hasn't been able to have meaningful discussions with the IRS. "We're in this tussle with them where they are improperly searching for private information of our customers with no evidence of wrongdoing," Lempres explains to Bloomberg. Coinbase can appeal the pending ruling, but Lempres declined to comment on Judge Corley's statements or the cryptocurrency company's plans going forward with the litigation process.